The legalization of cannabis will affect landlords in Canada since renters won’t know what to do about banning its use inside their rental properties. October 17th, 2018, was the official date for its legalization and landlords are more worried than ever. Many have started acting and prohibiting tenants from using cannabis. 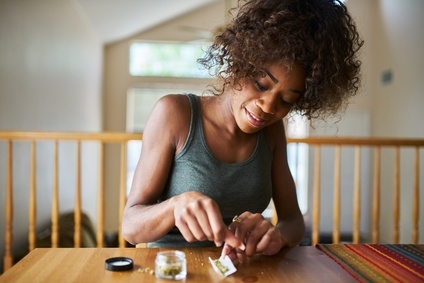 However, many tenants feel they should be able to use cannabis where they rent. This poses the question, do landlords have the right to ban cannabis use from tenants? The Fear that the Legalization of Cannabis will Affect Landlords in Canada: Why are they so afraid? They are most afraid of tenants smoking indoors and how this will affect the state of their homes. One main concern is the cost of removing the smell of cannabis. According to Dan Henderson, President of DelSuites Property Management, it will cost around $5000-$6000 to remove the smell. This means the legalization of cannabis will affect landlords in Canada and the resale value of their properties. Second hand smoke from cannabis will also affect neighbouring rental spaces. The legalization of cannabis will affect landlords in Canada also if users want to grow their own cannabis. The process of growing requires large amounts of heat and energy which may lead to more wear and tear in the home. This could cause even more headaches for landlords. Landlords in Ontario would like to change their current leases with tenants to ban the use of cannabis. They have been pushing for the right to ban cannabis since its legalization was announced. However, legally, they cannot do so until their current lease runs out under Ontario’s tenancy laws. By banning cannabis in rental homes, landlords believe this will protect them. It will also give them peace of mind knowing they can promote their property as a cannabis-free property. There is no clear-cut image of how the legalization of cannabis will affect landlords in Canada. With many medical marijuana users in Canada, it could become a human rights issue to place a strict ban on it. Finding a balance between limiting the damages and accommodating medical users will be an issue. Cannabis and New Brunswick: How will it be different? The concern from landlords about smoking and growing of cannabis is also felt in New Brunswick. The province’s Chief Residential Tenancies Officer, Kim Snow, has stated that landlords can ban both smoking and growing. Under current leases, a “no smoking” policy will cover the smoking of cannabis but not the growing of it. If a landlord wants to make a change to the current lease, they must get an agreement from the tenant. Otherwise, they will have to wait until the end of the lease to enforce a strict ban. Saskatoon and Cannabis – How will that work? In Saskatchewan, the government amended its tenancy laws in 2017 to allow landlords to ban cannabis in their rental properties. Placing a strict ban could violate the basic human rights of medical cannabis users says Trina Fraser, a cannabis lawyer in Ontario. She doesn’t believe that there should be a ban on having plants and cultivating them in a rental unit, especially for medical purposes. She thinks this would lead to problems under the human rights code. She also points out the fact that users may need to consume it in less intrusive methods such as using oils to prevent damage and annoyance. Trying to find a balance where users and non-users will be happy is going to be extremely difficult. What about party rooms in condos? Some have suggested to create common areas in condos and apartment buildings designated for the smoking and vaping of cannabis. This could potentially solve the problem and ensure properties do not get damaged. Do tenants get a say in this? Tenants have the absolute right to contest against the restrictions with cannabis. Such a strict ban could be labelled as discriminatory against tenants. For medical users, this could be a huge issue since they need cannabis for medical reasons and banning it could cross the line. In Quebec, many landlords have already issued out notices stating that smoking cannabis is banned. The tenants’ association of Sherbrooke has deemed this ban to be discriminatory. You can only grow cannabis within your home for medical purposes. This was made possible when the Access to Cannabis for Medical Purposes Regulations (ACMPR) was passed. Before you can start growing, you must be registered with Health Canada. The total amount you can grow is based on the dosage prescribed by your doctor. It is illegal to grow cannabis for any reason outside a medical condition. You cannot share or sell cannabis to anyone else. However, someone is legally allowed to grow the cannabis for you. If you end up growing more cannabis than your legal limit, you must dispose of it. The legalization of cannabis will affect landlords in Canada but to what extent remains to be seen. It will be a battle between tenants and landlords for what the rules and regulations will be. For now, we can only predict that landlords will have the power to enforce rules on cannabis use within the property. You can find out more about this issue by calling our toll-free number at 1-800-610-4510 or by visiting our website, www.rebate4u.ca. Rebate4U is a highly skilled tax rebate and HST rebate consultation firm that has generated over $120,000,000 in rebates for their clients.